You are currently browsing the The Pet Product Guru blog archives for February, 2018. Hair loss constantly happens in a dogs life. When should you be concerned that your dog is losing too much hair? If you see areas of bare skin exposed, there is something definitely wrong. If this is the case, check your dog for other bald spots. Do this by wearing a rubber glove and gently check all other areas while talking gently to your dog. Is the hair loss confined to only one area or is it generalized? If it’s all over, sometimes this is due to an under active thyroid gland. Patchy areas of hair loss could be due to an infection or parasite infestation. If it’s a single area, it could be due to an injury. Keep monitoring the spot to make sure that there’s no bleeding or brusing. 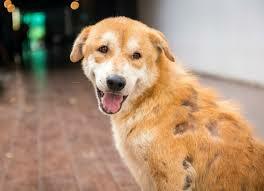 Does your dog have a rash? A rash or other irritation could directly affect the hair folicles and cause hair loss. Always wear disposable gloves when checking your dog. It could be Ringworm which is highly contagious even to humans. Do not administer any pet medication yourself. Take your dog to the vet for proper diagnosis and treatment. He may need antibiotics. Remember, your pets count! Oldies and standards all the time. The music you grew up with, always reliable! Edgewater Gold Radio. Listen on Google or your Amazon Echo. Just say “hey Google, play Edgewater Gold Radio.! Download the free Edgewater Gold Radio app. As many states are experiencing a very active flu season right now, another form of influenza is also making its rounds across the country, but this one is targeting your four-legged friends. 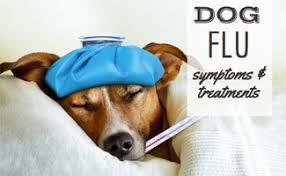 Like human flu, dog flu is highly contagious — and can be deadly in some cases. As of last week, veterinarians in at least 46 states, including Pennsylvania, Colorado, Florida and California, have treated dogs that were infected with the virus. This was reported by Fox News. The symptoms of dog flu are often akin to those related to “kennel cough”: coughing, sneezing, fever, nasal and eye discharge, a decrease in appetite and general mood changes, but some of the milder symptoms can turn into pneumonia, Brennen said. The greatest memories from the 50s through the 80s plus great standards! Turn on your oldies when you get to work today! Edgewater Gold Radio is your place for oldies. Listen on Tunein, Nobex or from our website edgewatergoldradio.com. Do you have a safe yard for your dog? If so, does your dog really need to go for a walk? 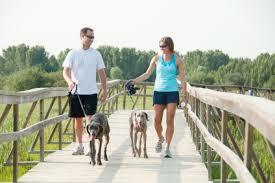 Canine exercise requirements depend on the type of dog as well as it’s age and physical condition. It also depends on what kind of exercise the dog is getting in the yard. Are you tossing one of his toys around, is he chasing squirrels or is he just lying down and resting? Taking your dog for a walk could be good for his physical and mental health. It may also provide a welcome change of environment. He experiences new sights, sound and smells. Maybe he’ll even meet a new dog in the neighborhood. It’s good for you to walk your dog for bonding purposes. It also gives you a little exercise as well. Plus remember, dogs make a great conversation piece. So maybe, just by walking your dog, you’ll meet the person of your dreams! More oldies variety than any other station! Edgewater Gold Radio –50s 60s 70s 80s – including pop standards and vocals. That’s what we’re about! Download the free Edgewater Gold Radio app now. When Is It Time to Adopt A New Pet After Losing One? This is a very tough question to answer. There are so many emotions that we are faced with after losing a beloved pet. As you know, I recently lost my little Molly and we are still feeling the emptiness and sadness without her. We eventually would love to adopt at dog but right now it’s much too soon! We also have another cat, Millie. She is getting used to the fact that Molly is gone. They were never close but it still affects her. We would never want to traumatize her and introduce another pet so soon after Molly. Another main fact to consider is guilt. I know Molly is in a better place and I still want to mourn her loss. I’m not ready for my attention to be diverted to another pet. In time, that will change, Molly is forever in my heart and I will know that at some point I could love and care for a new friend and family member. My advice, give yourself time after the loss of a beloved pet. 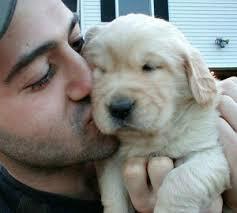 You will know when you are able to open up your heart and take in another pet! This time will vary from person to person but in your heart, you will know. Turn on the greatest oldies of your life. If you grew up in the 50s 60s or 70’s we have your music! Do you also love hearing standards? We have that too. Edgewater Gold Radio plays the greatest hits of your life! Listen all the time. Download the free Edgewater Gold Radio app today. add comment Comments Off on When Is It Time to Adopt A New Pet After Losing One? 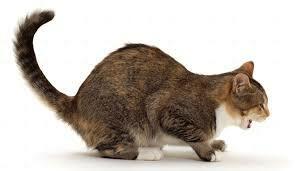 There are many reason why cats vomit that ranges from something serious to eating something that disagreed with them. An occasional, isolated episode of vomiting is usually normal. Here’s a general rule of thumb. If your cat vomits once or twice or infrequently and then goes on to eat normally, play normally, pee and poop normally and shows no signs of ill health then there probably is no reason for concern. If your cat suddenly develops chronic vomiting, becomes listless and is not eating, take him to a vet right away. My cat Molly used to vomit very frequently due to kidney disease. As the disease progressed, her vomiting got worse. Keep in mind, one of the most common reasons for a cat to vomit is hairballs.Hairball medication will help with this problem. Sometimes a cat eats too quickly which causes him to vomit. Parasites could be another reason for the vomiting. Don’t guess and try to treat your cat by yourself. If the vomiting is persistent and he appears ill, take him to your vet for testing. Chances are, the problem may be taken care of with pet medication. Oldies variety and great pop standards! Edgewater Gold Radio! Consistently play all of your favorite oldies for over 16 years! Download the free Edgewater Gold Radio app! There are so many great things about owning a dog. Unconditional love, companionship and protection are only a few. 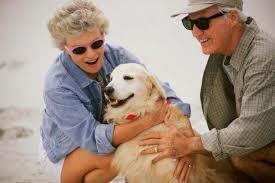 Owning a dog could also be beneficial to your health. It can lower blood pressure and reduce stress. But owning a dog can be a tremendous responsibility. Before you make this giant leap, stop and think first. Adopting a dog should never be an impulse buy. I know when you see that cute face and he gives you big wet kisses, the temptation is hard to resist. You are adding another member to your family and the proper preparation is necessary. This new family member relies on you for every need. The average lifespan for an American dog is 12 years, and you will need to meet your dog’s every physical, mental and emotional need for his entire life. 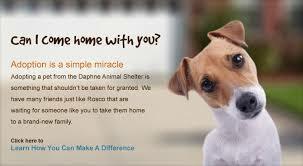 Take a month before adopting to consider what you can comfortably offer a dog that joins your life. Can you spend the time? Do you have the room? Can you manage the expense? There are many things that requires serious thought. Spending a bit of time to figure out what kind of lifestyle commitments you can make will help you decide whether a dog is right for you at this time of your life, and will help you make better decisions on what type of dogs make sense for your family. Listen to music that bring back the greatest memories of your life! Let life’s stress go–turn on the oldies! Edgewater Gold Radio plays the best variety from the 50’s through the 80’s plus great pop standards! Download the free Edgewater Gold Radio app now! Today, I was reading about a senior couple in the Las Vegas area who wanted to adopt a pet but were denied every dog that they wanted to adopt. A volunteer at Petfinder.com suggested that they consider adopting a senior dog. They took their advice and adopted a nine year old dog which they love and cherish. Puppies are like grandchildren. They are full of love, yet leave seniors exhausted! Senior dogs nap more and are more mellow than puppies. They are also usually housebroken. Did you know that in most states, people can now create a trust for their pet? They can put funds into it and in this way, benefit their pet by naming a trustee and caretaker to assure that it will be taken care of until it passes away. In the trust they can state all of their wishes. Singer Dusty Springfield did this and stated that she wanted her dog fed only imported baby food and also wanted it’s bed lined with her nightgowns and her records played when it went to sleep. Even though I don’t think that seniors should be denied to right to adopt a pet, this option makes sense and can solve the problem. Make the greatest oldies of your life a part of your day! Edgewater Gold Radio plays the greatest variety of oldies and standards! Turn us on now here! 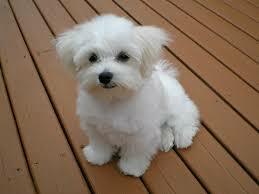 This little guy is one of brightest and most playful of the toy dog breeds. They are very friendly with both humans and other animals and because they shed very little hair they make excellent pets for dog lovers who suffer from asthma or other allergy related illnesses. Their silky coat does require frequent grooming and brushing to keep it in good shape. Like all toy dogs, if you spoil them and treat them like babies then they can become insecure and yappy and should be properly trained and socialized from an early age. The Maltese Terrier is one of the smallest and most fragile of dog breeds and is best not suited to families with small children. Thanks to Puppy Lover Journal for providing some of this information! Oldies variety is the name of the game at Edgewater Gold Radio. We play oldies from the 50s through the 80’s plus we also feature great pop standards! Listen from our website: Edgewatergoldradio.com. 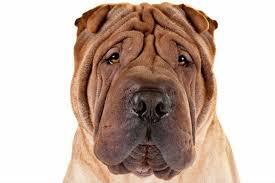 Shar-Pei – This wrinkle faced dog along with others of this type such as the English Bulldog are prone to skin infections. Their skin must be cleaned and checked regularly to prevent any problems. Various pet medications prescribed by your veterinarian could help cure these infections but prevention is always best. Rhodesian Ridgeback – This breed has a ridge of hair along the spine that grows backward. It looks beautiful but unfortunately, it frequently caused spine and back problems for the dog. Inbreeding by puppy mills and irresponsible backyard breeders have created a whole new set of problems for otherwise healthy dog breeds. A couple of very popular breeds that now face health problems are the Labrador Retriever and German Shepherds. They are more prone to hip dysplasia than lots of other breeds. It’s always a good idea to know these risks before adopting a dog. Get yourself in a better place today with great memories and great oldies and standards! Edgewater Gold Radio. Playing the greatest oldies of your life! Listen on edgewatergoldradio.com or download the free Edgewater Gold Radio app! Valentines Day is about love and we do love our pets. Their unconditional love is present throughout their lives. That’s why, it’s important to protect pets during this Valentine’s Day. 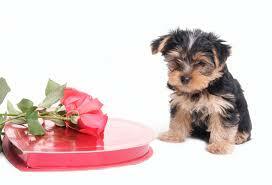 There will be lots of flowers and chocolate which is OK for humans but could be deadly for our pets. PetMD has put together a safety list to help in keeping our beloved pets safe during Valentine’s day. Melts in Your Mouth, Not in Theirs. Everyone knows that chocolate causes abnormally high heart rhythms in dogs,among other problems. But not everyone is aware that baking chocolate is especially toxic. While an M&M or two may not do any harm, a dog or cat that snatches a large chunk of baking chocolate from the counter may end up in the ER. It is essential to keep all chocolates out of your pet’s reach. Yes, even that last raspberry-filled nugget from the assorted box of chocolates no one ever seems to want to eat. Skip the Candy gram. Sugar-free candies and gums often contain large amounts of xylitol, a sweetener that is toxic to pets, especially dogs. If ingested, it may cause vomiting, loss of coordination, seizures, and in severe cases, liver failure. Restart the Heart. If your dog or cat should ingest large amounts of chocolate, gum, or candy, it may go into cardiac arrest. Be prepared by learning the proper methods for artificial respiration and cardiopulmonary respiration (CPR),. Thanks to PetMD for providing this valuable information! Listen to the Mid Day Cafe today on Edgewater Gold Radio for some Valentine romantic favorites! The greatest oldies of all time play on Edgewater Gold Radio!